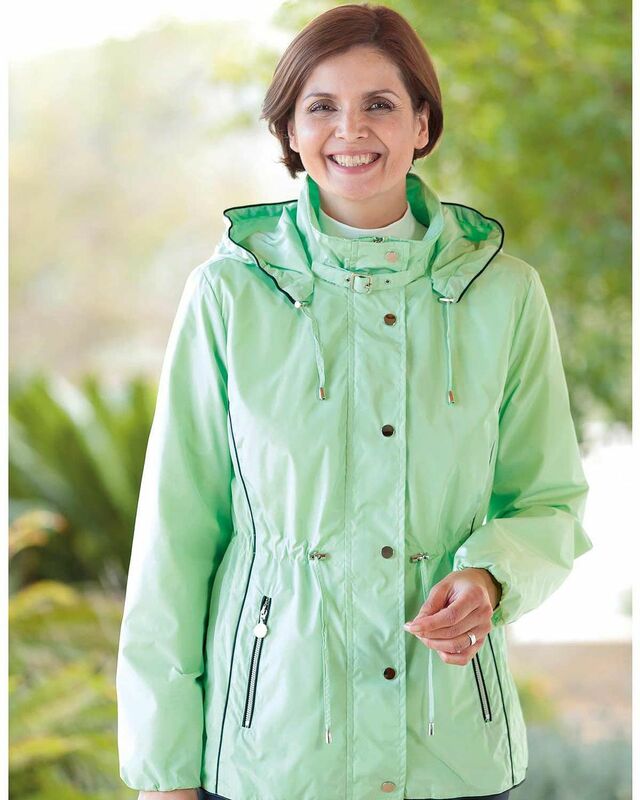 Ladies Lightweight Showerproof Jacket. 100% Polyester. Fully Lined. 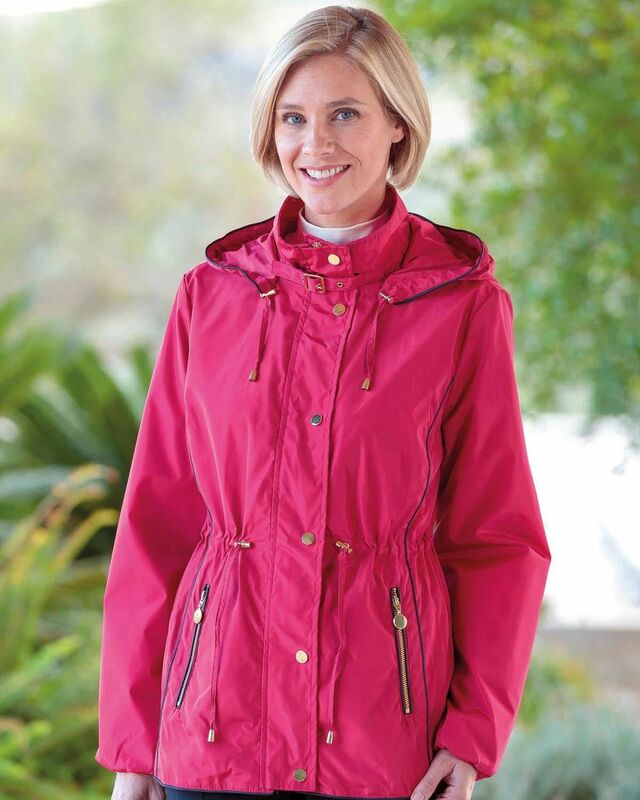 Ladies Showerproof style jacket, perfect for changeable weather, with toggle drawstring at waist and a detachable, button-off, toggle drawstring hood. 2 zipped pockets on the front and on pocket inside.